Some spas are worth a little more travel time. With lush overnight accommodations, access to healthy meals, and activities from hiking and yoga to cooking classes and forest bathing, the spa treatments themselves are just the icing on the cake. 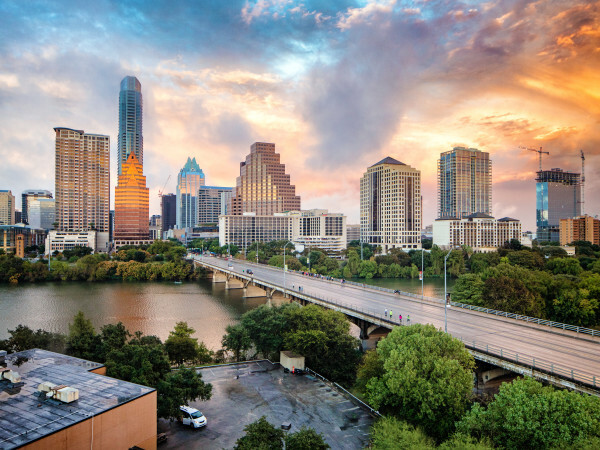 Here are five spa resorts well-suited for a girls’ trip, couple’s getaway, bridal retreat, or babymoon — all just a tank of gas from Austin. A long and winding road leads to peaceful seclusion at this Texas Hill Country boutique resort, located about 25 minutes south of Austin. The luxe treatment begins upon arrival with sweeping views, rustic-chic accommodations, and locally purveyed ingredients for meals, which are included in overnight stays. Sage Hill’s “Garden Spa” is named for its location inside the property’s main garden, which is blooming now with giant zinnias, angel trumpets, and chocolate morning glories, along with a banquet of fragrant herbs and vegetables. Bumblebees hover about happily, and at 6 pm, a dinner bell rings to charmingly alert guests that their multicourse supper is served. Spa services feature products from popular Austin-based brand Theis Raiford, whose founder Justin Raiford manages the property. Try the bamboo facial massage, which uses warmed wooden bamboo rods to lightly iron out the skin and comes with a hand, foot, and neck massage using products from Provence, France. Overnight stays start at $349 per night and include dinner and breakfast, but are not required to book spa treatments. Strip yourself of toxins both inside and out at this resort and health spa located just outside Houston. Guests may partake in stress-relieving spa treatments or take things a step further with full-on detox programs involving juicing, cleansing, and even colonics designed to energize and enlighten. Facials include a comforting clover treatment (good for sensitive skin and rosacea), spicy radish (best for toning and tightening), and fruit enzymes (good for exfoliating). Replenish magnesium levels with a magnesium body wrap, and even help discharge the body of metabolic waste with a thorough dry brushing treatment — it’s the new way to exfoliate while improving circulation. Guests can book suites or cabins and partake in daily yoga classes and nutritional classes, or lounge by the saltwater pool. Overnight detox packages start at $915 for a two-night stay, but an overnight stay is not required to visit for spa treatments. 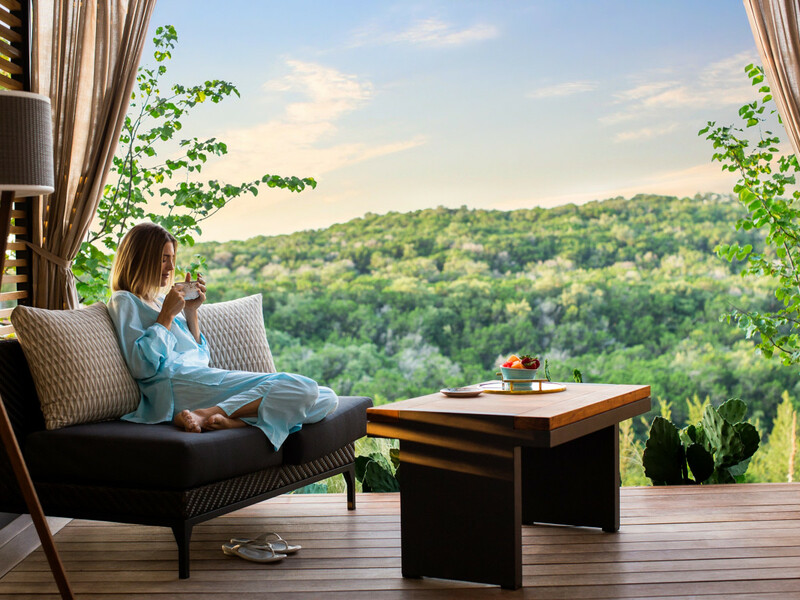 Meaning “hill of life,” the year-old spa and wellness sanctuary at San Antonio’s recently renovated resort provides indoor and outdoor treatment spaces overlooking the wooded bluffs of the Hill Country. Practice yoga with a one-on-one session on the private deck of your very own sky loft. Then partake in one of the spa’s signature rituals, which range from a beeswax and honey scrub, wrap, and massage (there’s a bee sanctuary on the property) to a hydration wrap and massage using organic coconut oil, passionflower, and shea butter. End with an indulgent outdoor bubble bath in a wooden soaking tub on your private deck, or a Himalayan salt scrub and shower. Couples or girlfriend groups can reconvene in a private cabana at the adult-only infinity pool, or for a spa lunch at Quenche, the on-site wellness eatery and cold-pressed juice bar. Rates vary, but an overnight stay is not required for spa treatments. Having trouble sleeping? There’s a spa service for that at this 40-room destination spa located on the shores of Lake Austin. More than 100 unique treatments include both ancient and modern therapeutic techniques, from acupuncture and Japanese healing treatments to aqua myofascial release. More traditional spa treatments range from collagen-boosting facials to river rock massages. And treatments for the more adventurous include forest bathing, floating massage (which takes place in a pool), and yoga-based Thai massage therapy. 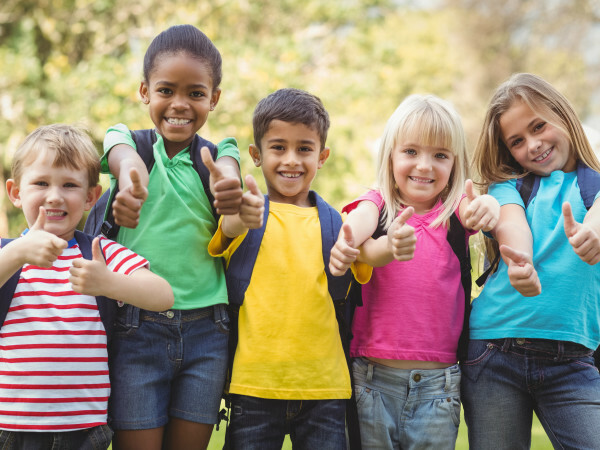 For those who find stress relief in physical activity, there are more than a dozen activities offered daily, such as canyon hikes and “rise and shine” stretch sessions as well as fitness classes and boat cruises. Or simply unwind by the water in lakeside hammocks. Overnight stays start at $595 per person per night and include meals, activities, and classes, but a stay is not required to visit for spa treatments. Texas’ rich music history inspired the concept behind this revitalizing retreat in the wilderness, located inside the Hyatt Regency Lost Pines Resort and Spa. Here, music itself serves as a spa signature element. Django literally means “I am awake,” but it’s also the name of gypsy jazz guitarist Django Reinhardt, for which the spa is named. Guests get to select not only their spa treatments, but the playlist that goes with them to further enliven the senses. Treatments include an herb garden salt glow scrub with aromatherapy massage, Lost Pines lavender wrap with a vanilla bean lotion hydrating massage, and — given the spa’s theme — an appropriately named “Texas two-step” foot massage that includes a scrub, heated wrap, and hot river stone massage. There are also eucalyptus steam rooms, hot tubs, dry saunas, and an herb and wildflower garden to invigorate the senses. Rates vary, but an overnight stay at the Hyatt is not required to visit for a spa service.